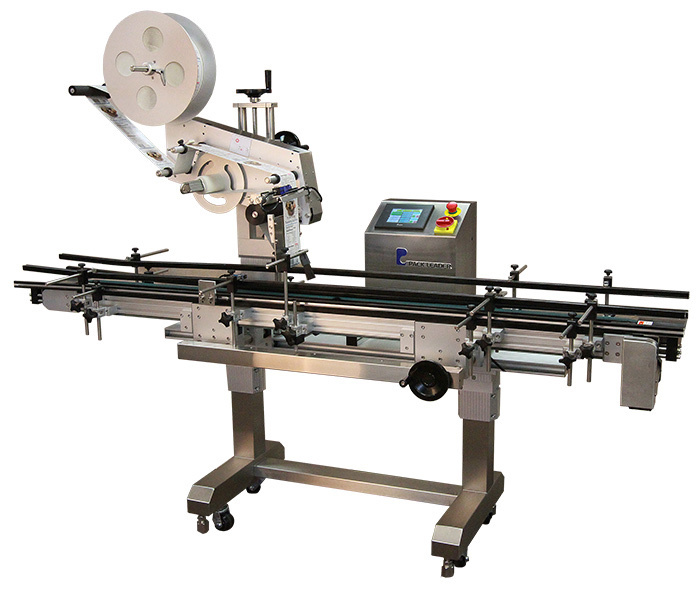 • High-speed application rates programmable up to 6,000 linear inches of label web/min. 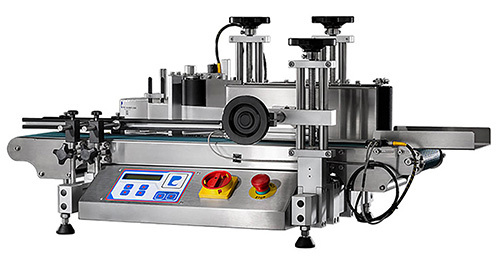 Available in over 53 different configurations, the Alpha HSM label applicator is a high-speed system that utilizes a servo-drive module, a label detection module, a dispensing module, an unwinder module, a rewinder module and an adapter module. 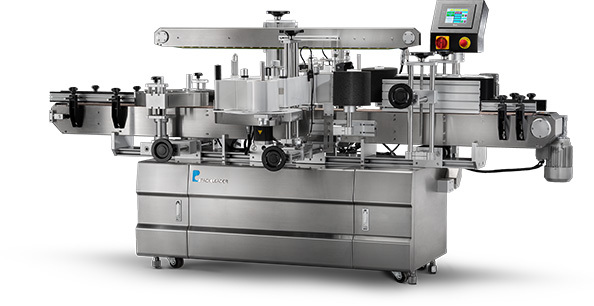 With a labeling accuracy of ±0.01", this label appplication system can dispense up to 262 feet of labels per minute. 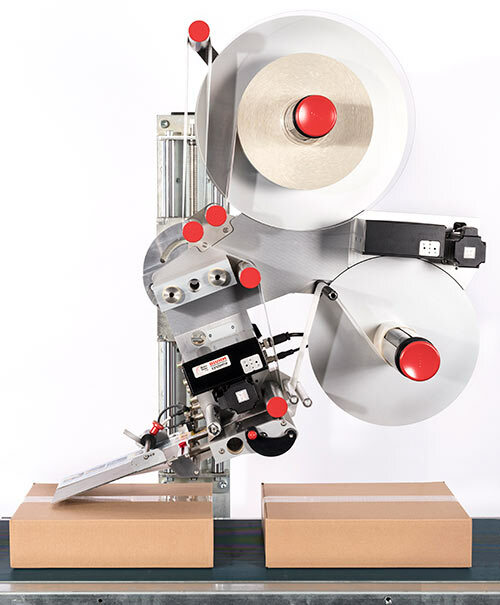 Weber's Alpha Compact label applicator is a cost-effective solution to fast, reliable pressure-sensitive labeling. Using the highly-accurate wipe-on method, this label appplication system can dispense up to 164 feet of labels per minute. Weber's Alpha Compact Tamp-Blow label applicator is the best non-contact way to apply labels consistently to recessed areas on a product. Using the tamp-blow method, labels are transferred to the tamp pad and blow onto a passing product. A proximity sensor allows the tamp pad to approach the product and stop without contacting it. 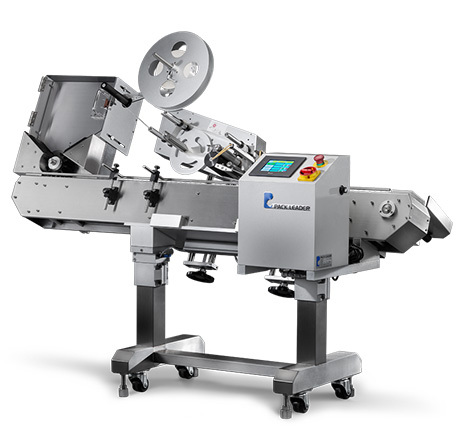 The ELF-50 is a protable wrap-around label applicator with the efficiency and mobility you need for your small production runs. This labeling system can be moved easily, so you can set up exactly where you’d like. 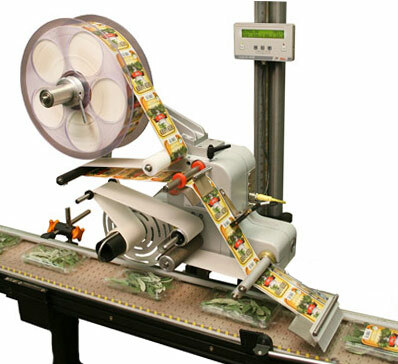 It can be positioned on a tabletop or bench, or moved in-line for automatic or semi-automatic applications – a convenience not found with heavier, more elaborate labeling machines. The PL-211CS is designed to apply pressure-sensitive labels to three sides of a clamshell container. These are perfect for bakeries, fresh foods and produce, prepared meals, and more. The 211CS is easy to use; with just a tap of its one-touch screen, you can easily adjust the settings to apply labels to one side of flat-surfaced containers. The machine’s speed adjusts according to your container’s surface. The PL-501 is designed to apply pressure-sensitive labels to round containers. And, with just a tap of its one-touch screen, you can easily adjust the settings to apply labels to one side of flat-surfaced containers. The machine’s speed adjusts according to your container’s surface. 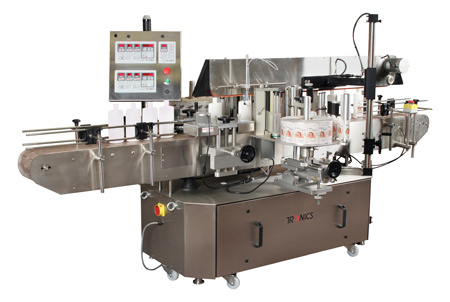 The PL-521 has been specifically designed to accommodate horizontal labeling of slim, non-freestanding cylindrical containers such as pens, test tubes, syringes, cannabis tubes and lipsticks. 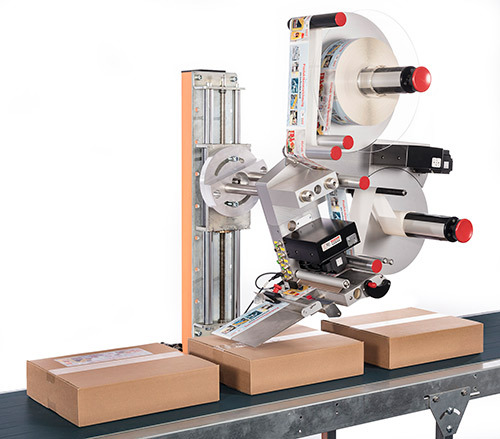 An angled roller conveyor ensures accurate labeling by securing the product on its side as it moves through the label head. The PRO-625 accommodates a wide range of two-sided labeling needs. Applying labels to the front and back of a container is built into the two-side apply design. You can also easily configure for a one-side apply or use the optional wrap-station for round containers. This is a one-stop solution for most liquid container labeling. 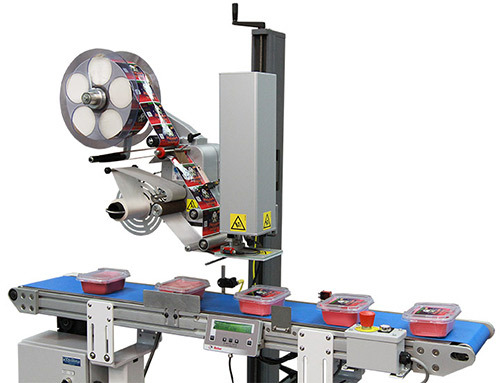 The Tronics Series 3 heavy-duty label application systems from Weber include multiple high-speed, in-line label applicator configurations designed handle a wide range of products/packages using different label shapes and sizes. 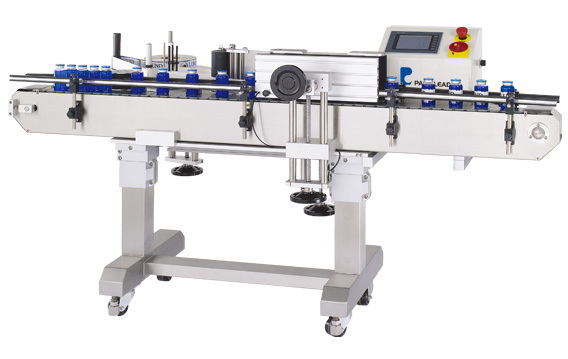 The Bottle-Matic label applicators are small portable units that apply labels to round cylindrical products like bottles or tubes. 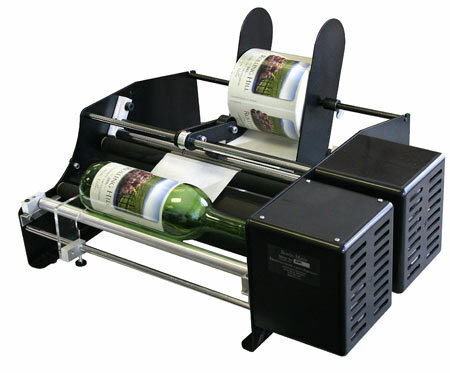 Perfect for start-ups, small breweries or wineries. Available in one-label or two-label application models.